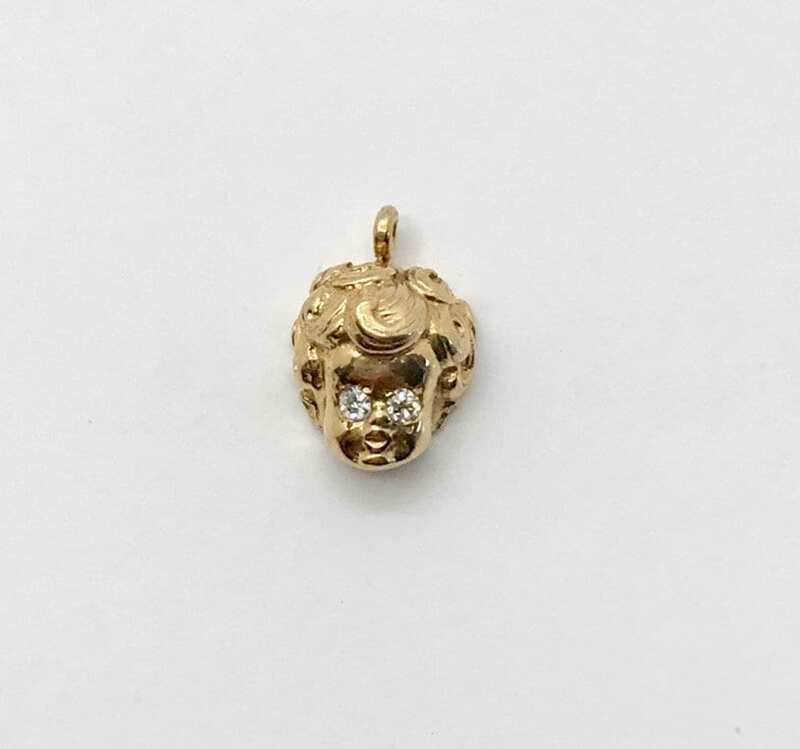 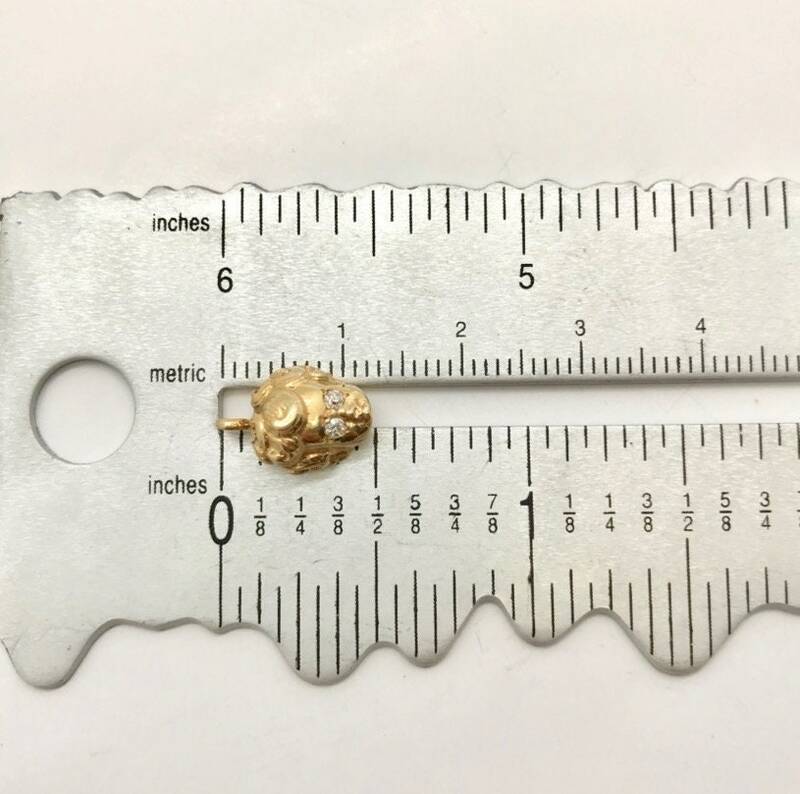 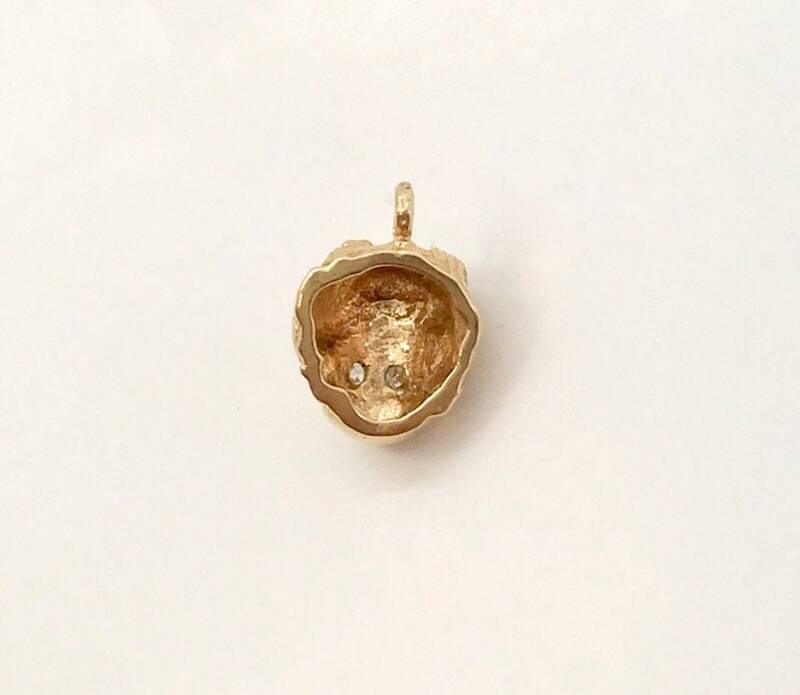 10 karat yellow gold baby's head charm. 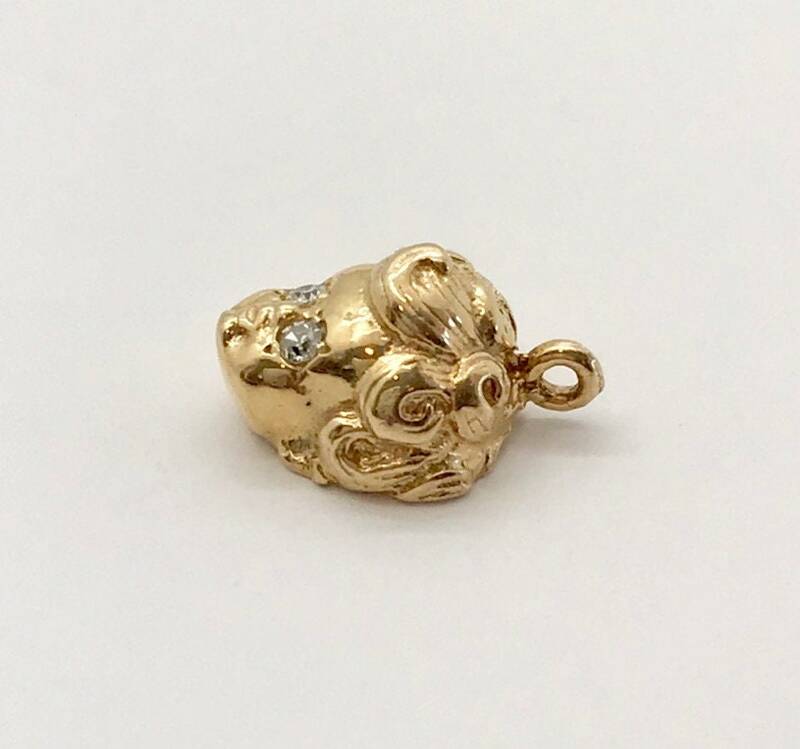 The charm is of a little girl's head with curly hair. 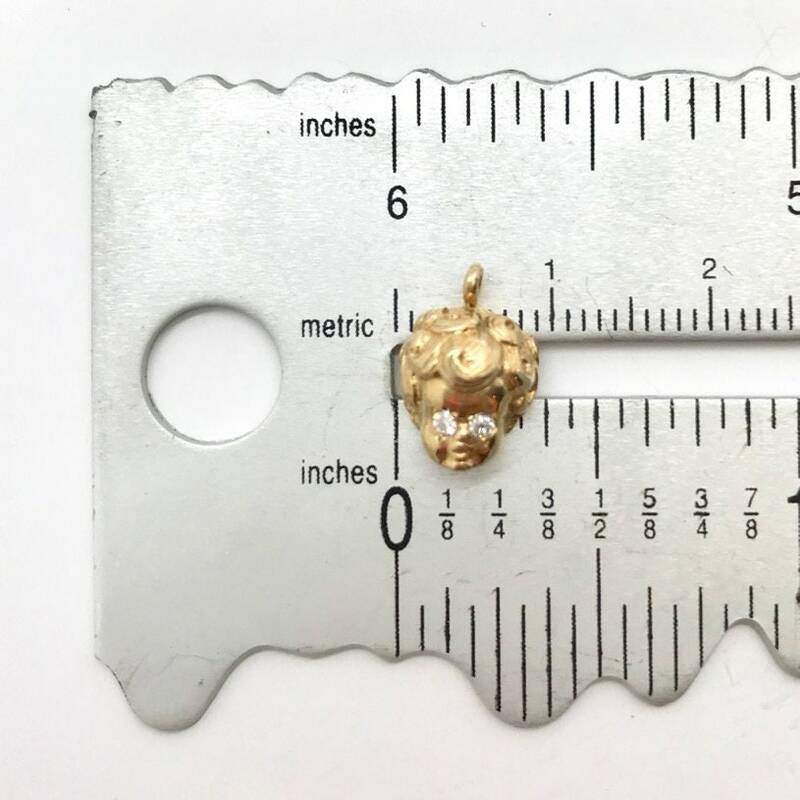 Set, are two single cut diamonds (each one being set as eyes) weighing approximately 0.015 carats each and are considered to be of good make and quality. 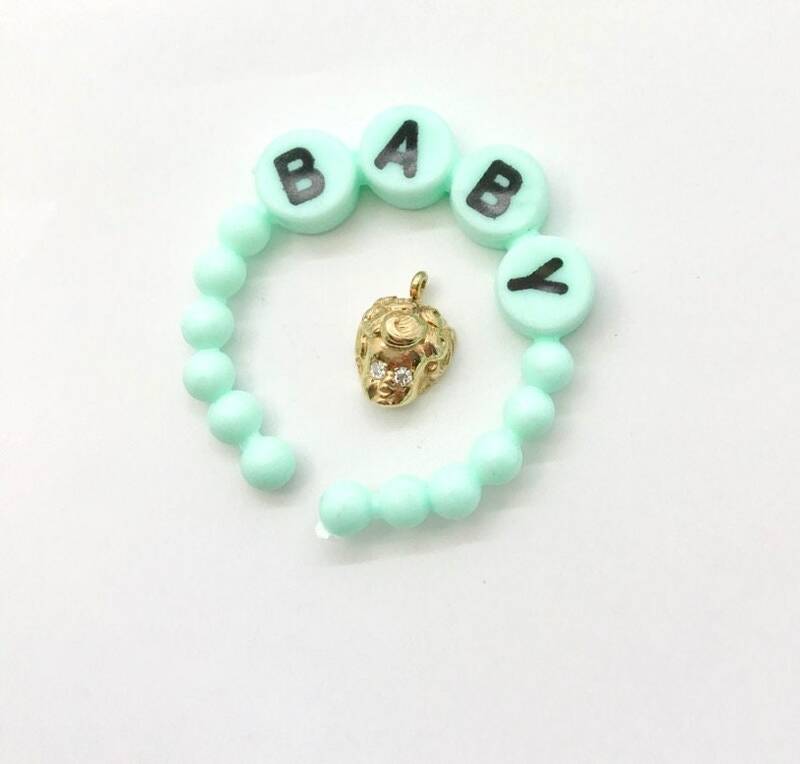 Perfect for a new grandmother or new mom.